You have worked hard to get to this point! Now that your information has been recorded correctly and your pet has been added to the National Database, please do not allow your registration to expire. If you need to submit your payment of C$25.50, please use this payment option. Report your pet lost or missing. If your pet is reported lost, your account will display your detailed contact information and let others know that your pet is missing. This bulletin will be accessible by veterinarians, emergency veterinarians and shelters or anyone who enters your pet's microchip number into the National Database. If your pet is lost or missing, please change the status within your pet's account page by using the "edit account" tool. 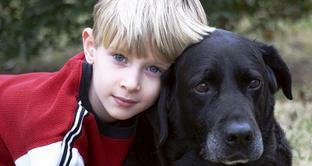 Your Lost Pet Bulletin can be removed at your request at any time after you locate your lost pet. You can submit payment for up to 3 pets, here.